Started learning clarinet age 10 in his neighbourhood to move to the Lyon Conservatoire after few years. In the early 70s he plays with theatre groups and danse companies inspired by the Living Theatre and the Bread and Puppet and is inspired by such bands as Soft Machine, Sun Ra or the Art Ensemble of Chicago. Louis Sclavis becomes a professional in 1975 with the Workshop de Lyon in a collaboration with the singer Colette Magny. 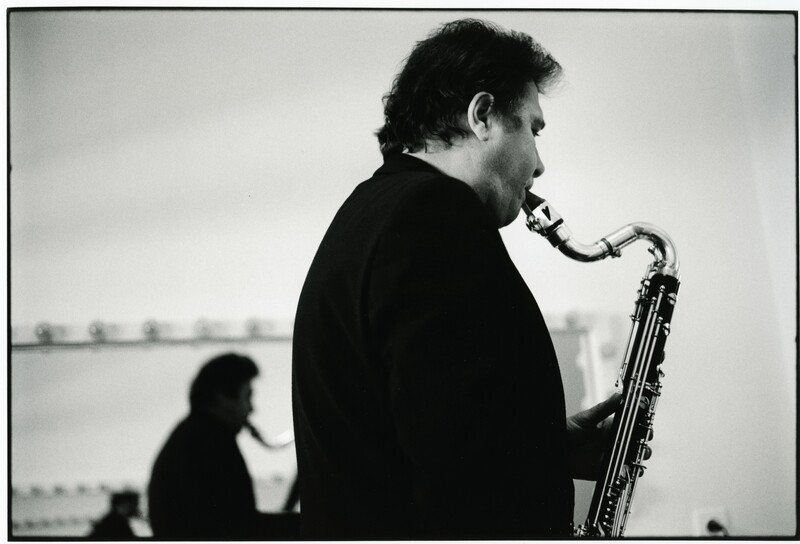 He forms his first bands in 1984, quartet, trio, sextet with which he records for diverse labels (Enja, Label Bleu, Fmp, and particularly ECM). At the same times he writes for cinema (Amos Gitai, Bertrand Tavernier, Jean Louis Comoli) danse (Mathilde Monnier), theatre, works with Jacques Bonnaffé, Ernest Pignon Ernest, Guy le Querrec. Now a reference when it comes to improvised music, sometimes associated to moving images (Dans la nuit, with a Charles Vanel’s silent movie from 1929), Louis Sclavis associates in 2005 with younger musicians in a band which he calls, with his usual poetic bent, “L’imparfait des langues”. He takes it further with the album “Lost on the Way” (2008), inspired by the Odyssey, that let his partners’ pop-rock culture be heard. Always pushed to new associations, he starts in 2009 the Eldorado Trio with Craig Taborn and Tom Rayney then the Atlas Trio with guitarist Gilles Coronado and pianist Benjamin Moussay, a different type of instrumental mix forcing him to rethink his composing ways. More than the regular reunions with Romano and Texier (joined on a recording by three guests, Enrico Rava, Nguyên Lê and Bojan Z in 2011), he concentrates on that band, touring and recording a second album “Silk and Salt Melodies” (2014).